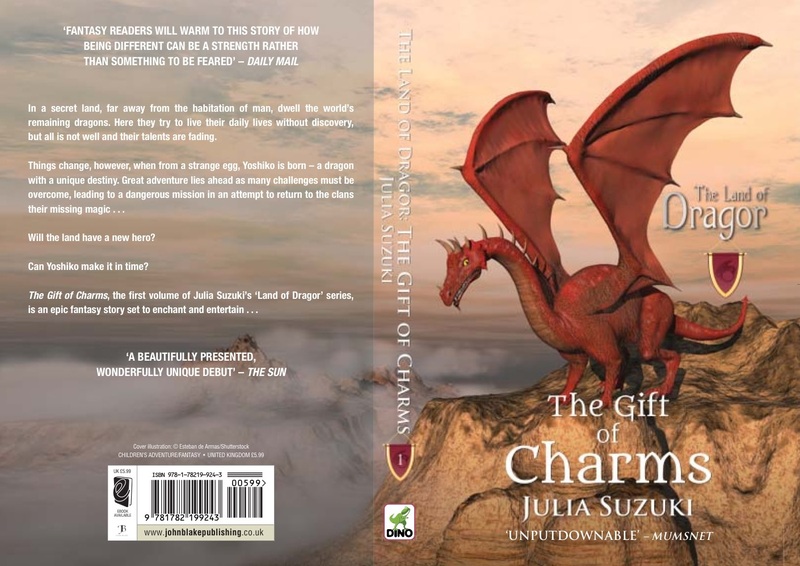 The Land of Dragor: Book 1 The Gift of Charms. In exchange for my time and efforts in reviewing The Land of Dragor, The Gift of Charms and giving my opinion on my blog, I have been provided with images along with the story. Even though I receive these benefits, I always give an opinion that is 100% mine. 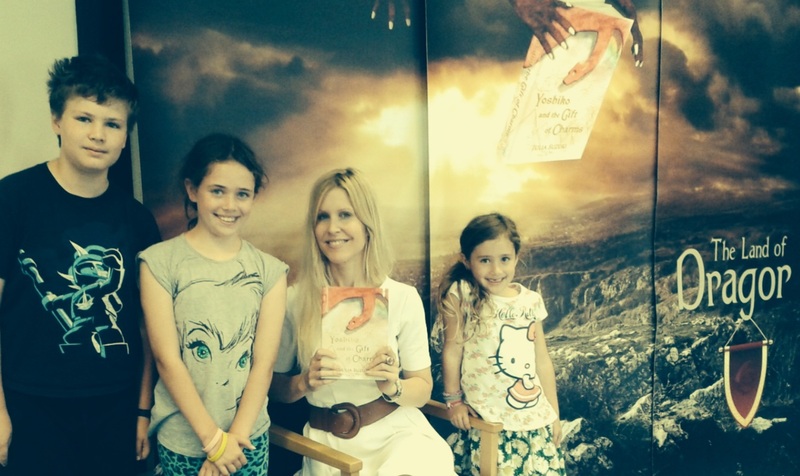 Captivated by The Land of Dragor: The Gift of Charms; I find myself and Isabella transported into this magical land of dragons. As our nightly routine we pick stories to read, these past few weeks things have been a bit different. With my computer wide open I’m transfixed into a child’s book, with every word I speak to Isabella playing like a movie in my head I find it difficult to pause our reading while Isabella begins to drift off. Will she dream of Yoshiko, the young dragon and his land filled with friends and family? Will her dream be of his adventures, his learning’s or even of herself in his land with all the dragons playing? For many nights Isabella and I have read this amazing book by Julia Suzuki as, she not only captures the minds and hearts of the children but has put myself, an adult in complete astonishment. While the words and story carry on I find myself picturing each character… Yoshiko and his large dragon wings, his mother and father, Kiara and Ketu and all his fire school friends. As each description is highlighted I find the story turning into a movie inside my mind. As I watch Isabella’s excited face each time I say it’s time for bed, time for a story her gaze seems to find its way to my laptop in which holds this astonishing story. For the first nights we found ourselves reading The Prologue: The Strange Egg and reviewing all the photos that Julia had shared with us. As we look at the map Isabella asks where the dragons live, and points at each mountain. “Yoshi home mommy?” As we continue our readings the following nights we learn of each clan and look for their homes on the map. I cannot stress enough how important reading is to my girls and I; since our move to Maryland we find ourselves snuggled in bed or sitting on the floor together reading multiple stories. As time goes by we found ourselves reading the same stories multiple times a week. We would begin reading about Toy Story and find ourselves next on The Little Mermaid. In hopes of finding a solution to this book skipping problem, I began to wonder about longer books. Fewer pictures and more of a story! It just happens at this moment I found Julia’s twitter amongst my followers and began reading a bit about her story. I couldn’t help myself, overwhelmed with complete curiosity I reached out. Thankfully Julia was so kind to allow me to have a document with photos along with the full book to read with Isabella. I cannot thank Julia enough for this delightful reading; as we further into the chapters ahead (21 to be exact) I see so many educational topics. 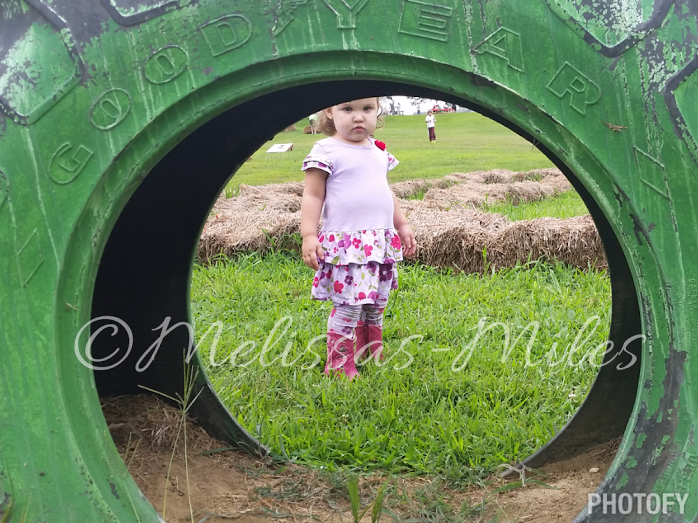 It may just be my point of view but as soon as you read this story you may also see the topics I am so pleased to be speaking or reading to my soon to be big girl. From being judged from where Yoshiko came from to the school “bullies” many learning topics were brought up. This dazzling adventure of a “smalling” dragon and how he learned to overcome bullies, weaknesses and learn that he can do much more with a positive attitude and practice has now become a family favorite. You will read about Yoshiko’s adventure of attending Fire School and the obstacles he faces to his adventures that may just be breaking rules in order to save his friends talents and the future of The Land of Dragor. This unique story has just begun in my opinion, due to the ending I feel as if The Land of Dragor with Yoshiko and his friends and elders will have more adventures and lessons ahead of them and to us. I, as an upcoming teacher hope to purchase this book for my future classroom along with a copy for my girls. 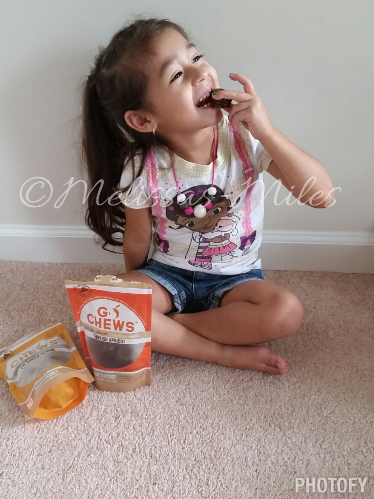 -MommeMeals Go Chews: A yummy snack for Bella and I. Like I said in my previous post “Milk on Tap” I never thought I would be breastfeeding Elleanna… With that being said I’ve been an on the demand mommy going nine-months strong with no end in sight. (ok maybe I know there’s an end…) I’ve always wondered as I read posts on breastfeeding groups about how much they pumped, how they are always engorged and how they have enough milk to donate. My question is how? When I pump I fill with excitement if I can get 3 ounces on that rare occasion, but due to the fact in upcoming weeks I will be returning to work, hopefully full time, I need a supply for my daughter. I was working, 5 hours a week, for Aeropostal which sadly didn’t play out the way I would have liked it but now that I’m looking for a more full time opportunity I need to find ways to make sure my supply stays up along with my energy. 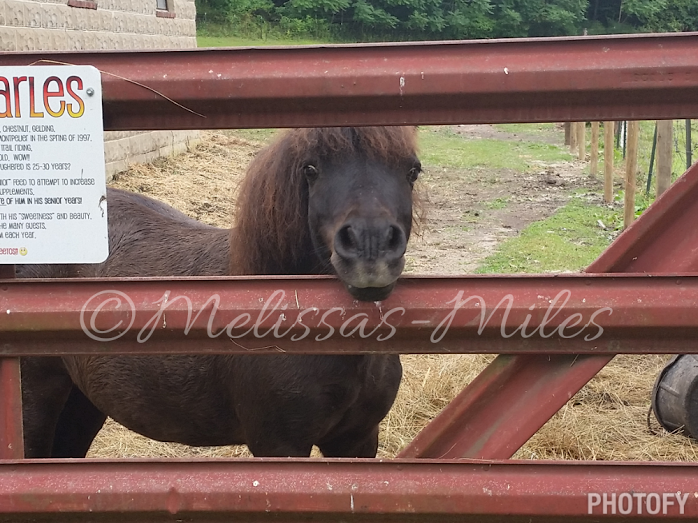 After attending The Big Latch On and finding out there were lactation cookies (do not judge still pretty new to this) I needed to look around. 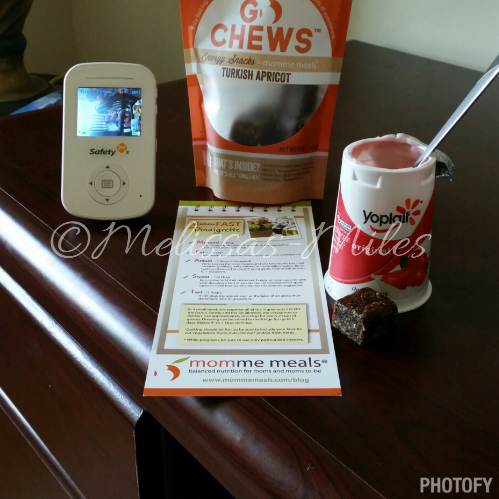 I found an amazing woman, the owner of MommeMeals and reached out to her in hopes of trying her lactation cookies; which was amazing timing with her new flavors coming out. 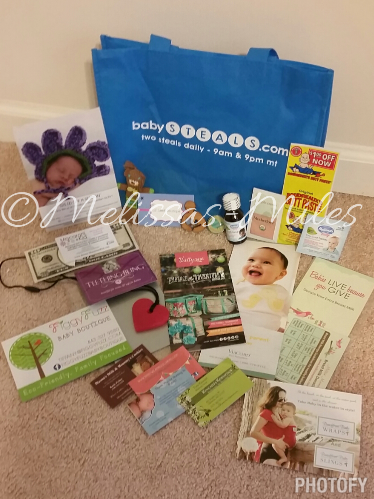 So graciously she sent me some flavors (Turkish Apricot & Fig Ginger Sesame) and some originals to pass out amongst my fellow breastfeeding mommy’s along with a few recipes in which I am going to be making in upcoming posts. As the following days passed I would munch of each on the flavors, though the Turkish Apricot won my heart, with its soft and chewy flavor exploding go chew I found myself sneaking in more than two.. 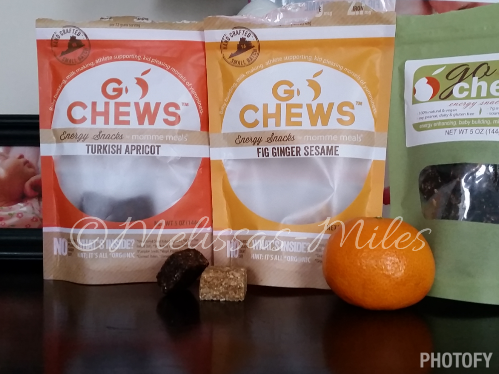 Sometimes three… A few times four… Ok I became addicted to these go chews, easy snacks for doing homework, riding in the car and taking the kids out for the day. The organic whole food ingredients, gave my body the energy boost it needed, unlike energy drinks with the high caffeine and the crash after. As the week began to end while working one day as Geraldo was at work, Elleanna down for a nap I began to hear noises… Like someone was into my go-chews! Busted, caught with the chew in her hand ready to head toward that three year old mouth of hers, Isabella had found a new snack she couldn’t resist. 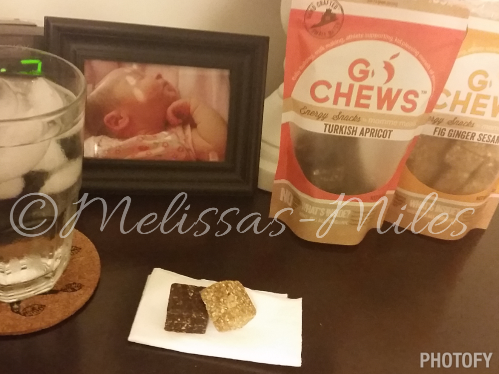 Thankfully go-chews are energy boosters too, great for anyone, child or adult. Man or woman. (Men you will not lactate after eating them!) Many athletes actually use such cookies as a way to boost their energy while eating healthy and helping their muscles recover. Don’t believe me about the energy booster or maybe you have some sore muscles after a hard week at the gym? I dare you to try go-chews! A few quick shots of Isabella and her new favorite snack, I then find myself searching for the perfect hiding space away from toddler hands. Everyday I saw my milk supply building, by this I mean engorged and happy. Not many mama’s are happy about being engorged but when you are a mommy in need of a supply to go back to work, that milk is like gold! After months of trying to drink plenty of water, Gatorade and other forms of tricks told by many mama’s I found my go to snack. It not only made my energy go up, my milk increase but my body feels so much healthier.. Happier you could say. As you can tell I’m running low on Turkish Apricot and Fig Ginger Sesame so I went out to get the Original flavor. he-he. How is your energy? Maybe you’re a mother breastfeeding, have you tried lactation cookies? How did they work for you? 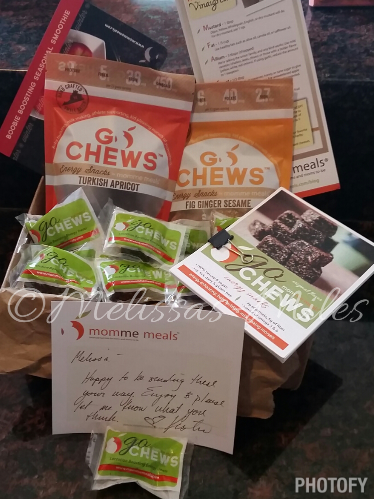 In exchange for my time and efforts in reviewing Mommemeals Go-chews and giving my opinion on my blog, I have been provided with samples for tasting and giving to a few fellow breastfeeding mama’s. Even though I receive these benefits, I always give an opinion that is 100% mine.